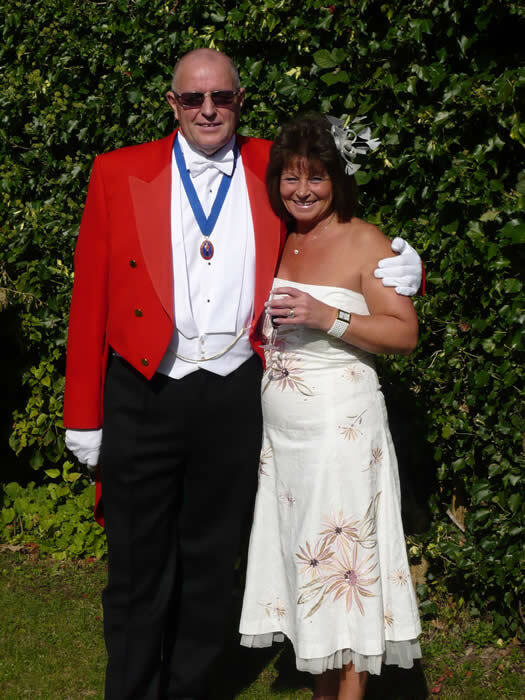 Terry lives in Poole, Dorset and will travel across the South West region of England to be your toastmaster/master of ceremonies, as far as Devon and Cornwall in the West, and Sussex in the East. Terry has over 30 years of experience in the entertainment industry and 20 years as a master of ceremonies. 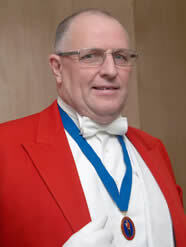 At your wedding, Terry will provide a very personal and professional toastmaster service. 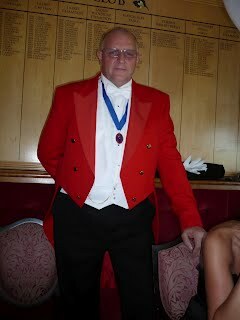 Not a stuffed shirt statuesque figure in a red tail coat but a very dedicated toastmaster with a difference. Just think of Terry as the genie in the bottle. Release him and your every wish is his command. Any other type of function can be covered with an extremely high level of service. A new modern breed of toastmaster is evolving, encompassing traditional protocols and etiquette, with a more modern personal level of service and attention to clients. Terry is proud to be part of this evolution and is confident you will be very pleasantly surprised. Hope you well, We are back from Portugal now and I just wanted to say thank you for all your efforts on our big day. You were fabulous and I'm so glad that we booked you. We had an amazing day- It could'nt have been better. It was great to have you there as part of it. My experience is quite extensive and ranges from DJ work, Band presentation , Master of Ceremonies at Balls, I have presented The Cancer Research UK from Pink Ball in Bournemouth since 2008 and have some excellent testimonials from the event managers. 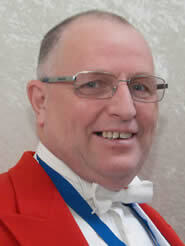 I also had the pleasure of being the Public Announcer for over 20 years for The Bournemouth Carnival Band, a major comedy marching band in the UK, such venues for the band were The Grosvenor House Hotel in London, an annual event for The London Taxi Drivers Fund for Underpriviliged Children. I also benefitted from several TV appearances with the band on both BBC & ITV, and several trips into Europe and the Channel Islands. I offer a full range of services, ranging from Weddings, Civil Ceremonies, Dinners, Celebration Balls, and Corporate events, also available for any type of Master of Ceremonies work, my range of presentation and public announcing is virtually limitless and any request will be considered. I can offer you a no obligation quote now, so please contact me for more information.